This is our main set up for parties. If you like our DJ wall above this picture it would be a differt package. 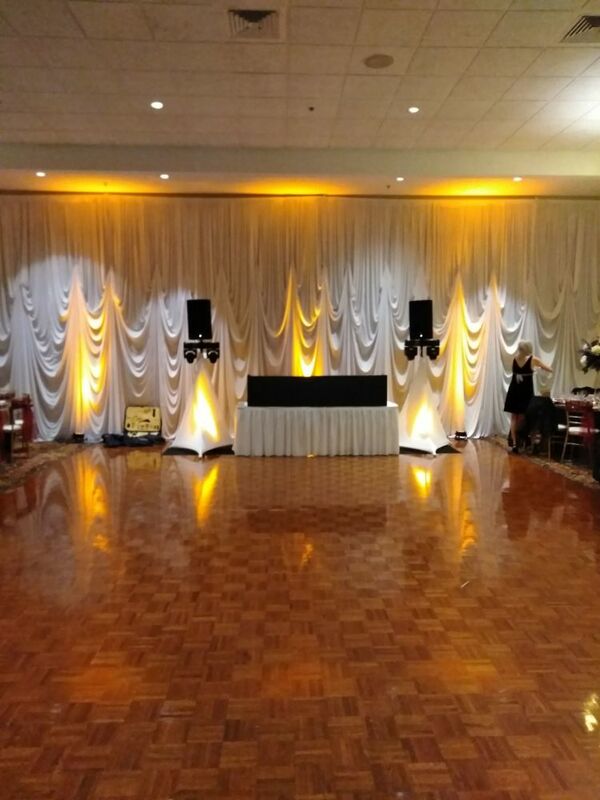 Dimensions in Sound is Chicagoland's and surrounding suburbs premier DJ & Photo Booth company since 1991. Our team of professional disc jockeys have been dedicated to making every event fun, exciting and memorable. Whether you are celebrating a wedding, holiday, birthday or any other occasion, we customize each event according to your needs. We also have an extensive music collection covering every genre. We will play any songs you choose and will avoid the type of music you don't like. Your guests will come alive as they dance to the sounds of their favorite artists. 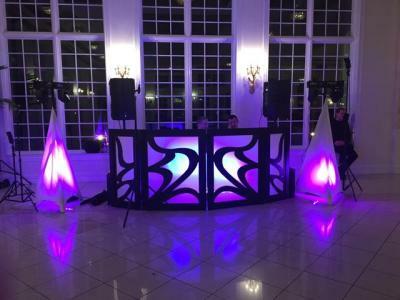 Our professional DJ setups are equipped with only the finest state-of-the-art sound systems. 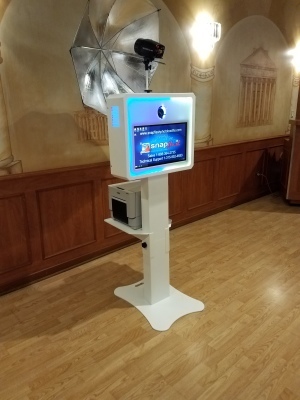 Our equipment is carefully adjusted to the acoustics of your room and the speakers are strategically positioned so that your guests can effortlessly socialize at surrounding tables. Here are some videos of us in action at different parties! Feel free to scroll through our video's.